Why It Takes Time For My AC to Keep Up On Hot Days? 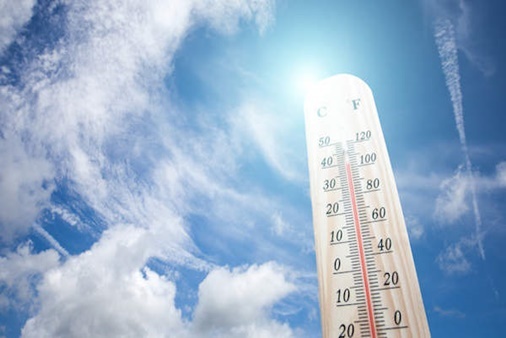 Having an air conditioner system cooling you down during peak summer days can be very comforting, but what if it takes too long to cool down your home. Read on to know when and why an AC takes longer for home cooling on hot days, and how to prevent the problem. scheduling the unit and increasing the temperature for the times you are out of the home. Begin again 30 minutes before you reach home, so that you do not have to wait much to cool your home. 2. Dirty filter: A soiled air filter can prevent easier movement of air through your air conditioner unit. If it is clogged with much grime and dust, airflow can be prevented and you will find it tough to stay cool. In any case, you have to change your air filter after every 1 – 2 months. Before you call an air conditioning repair service technician, try this step if the home feels too hot. How long does An Air Conditioning System Take to Cool the House? 1. Type of AC System Used: Portable air conditioning systems are able to cool small spaces in 1 hour. Central air conditioning systems take around 3 hours to cool a 4-bedroom home of average size by approximately 10 ° F. However, this depends on many factors – like the external temperature or how old the system is. Still, if it takes longer than 3 hours, the AC unit must be having some problems. Individual Units are able to cool up rooms in less time than Central AC systems if all windows and doors are kept closed. A bedroom of 10X10 feet size can be quite colder in a span of 20 minutes and attain a colder and more comfortable temperature in just 1 hour. Evaporative AC systems take longer than Central AC systems, but can usually cool up to an entire home in a span of few hours – depending on how big the home is. 2. Power: Newer AC systems have more efficiency and power, and the time is taken to cool up homes differs as per the power of the system as evaluated by the Seasonal Energy-Efficiency Rating (SEER) of the same. The standard system manufactured in the ‘90s comes with 6 SEER rating, whereas those created in the early 2000s generally have a 10 rating. There is 13 or more SEER rating for systems manufactured after 2006. 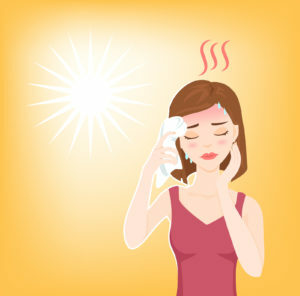 The average temperature of the human body is 98° F. During the summer months, the temperature can reach as much as 104° F in areas such as in South Australia. It is best to set your AC unit to a temperature of about 75.2 – 77°F during the summer months. It is more or less an optimal temperature in which the human body remains comfortable with the environment, and can work in a productive way. This can be adjusted as per personal preference. If you are ready to spend more on your air conditioner bills, you can reduce the temperature and adjust it at 64.4°F. However, if you wish to save money as well as stay comfortable, it is best to adjust the temperature and keep it at 71.6 – 75.2°F. What does Energy Star Recommend? As per the recommendation from Energy Star, the appropriate temperature at which air conditioners can be set is 78° F, which will not cost you a lot. In case you feel too hot for comfort, you may adjust it to a reduced temperature although that would mean slightly higher electricity bills for you. How to Control Your AC Temperature Properly? You can set a programmable thermostat for your AC system, in case your existing unit has one. If you wish to sleep with more comfort at a low temperature during summer, you can program the unit to run at a lower temperature during the night and run at the higher temperature during the daytime. However, if you live in a place where nights are comparatively cooler, you might like to keep the windows open and use your air conditioner during only the daytime. If your room has ceiling fans, it is a good idea to increase the setting of your thermostat by 5 degrees or higher with the fan running. You should also keep away unnecessary heat, such as the heat emanating from other appliances and the external heat seeping in through gaps in doors or windows. While using dishwashers, dryers, washers etc that generate heat during operations and make the room warmer, use them during the coldest hours of the day. Use exhaust fans in bathroom and kitchen while taking a shower or while cooking. When you take care and follow such tips in a consistent way, you can maintain a perfect room temperature with your air conditioning unit in an easier way.